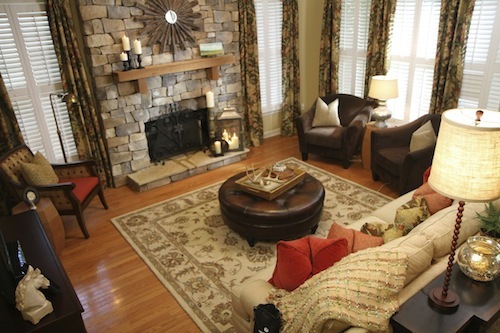 Today, I’m going to give you the behind the scenes scoop on the family room from my Design Wars episode. As a reminder, the family room was the space that I was able to design once the family chose me as the winning designer on the show. It was a great feeling to win and know that I was going to be able to give the family a space that they could all enjoy. Here is the finished space. Originally the walls were dark green and the mantle was standard builder grade white. 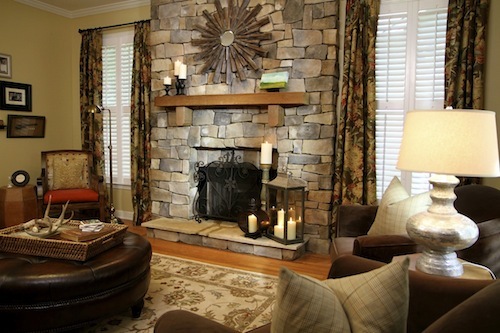 The change in paint color and the addition of the stone fireplace made a huge difference in the space. 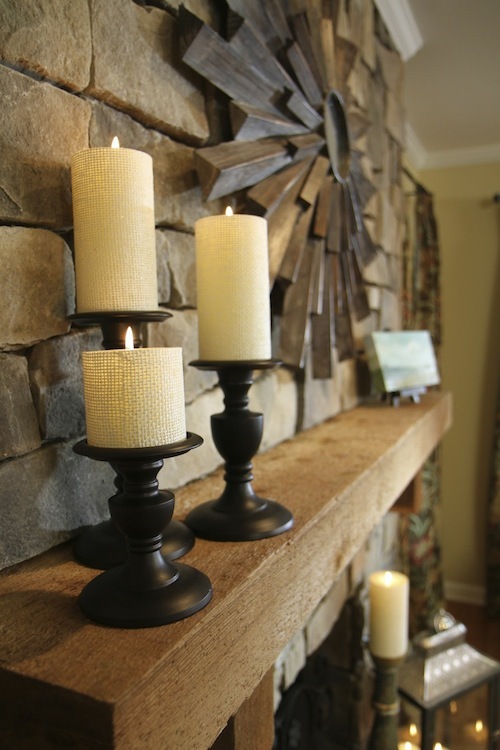 A closeup of the rustic redwood mantle and stone fireplace. Jim Greenwood’s original art from dk Gallery. 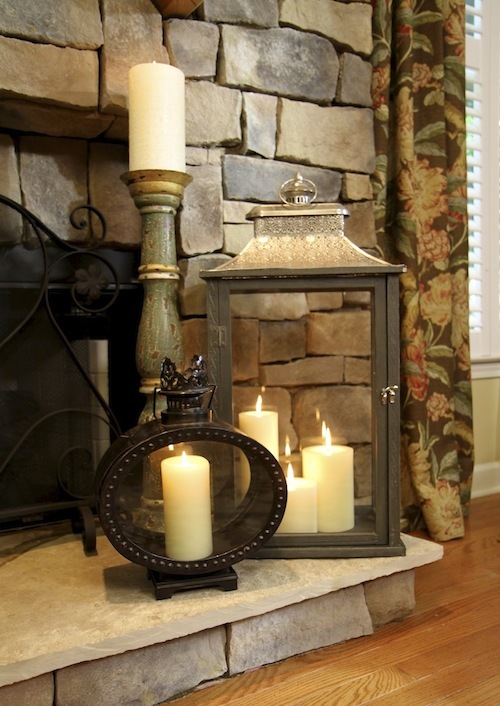 Love the lanterns on the hearth. A quick reminder, don’t leave your candles burning in your lantern for very long. 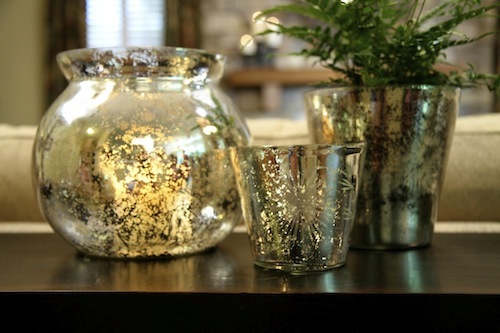 Battery powered candles would be best for indoor lanterns. 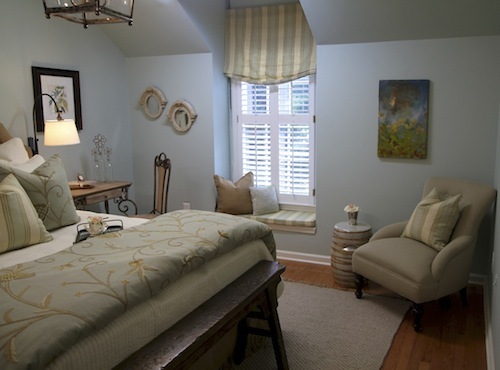 Once the custom window treatments were hung, the new space was softened and felt updated. Kathy from Drapes and Sew Much More made all the window treatments and pillows. She was amazing. She literally finished everything in a week! She also made almost all the linens in the guest room. 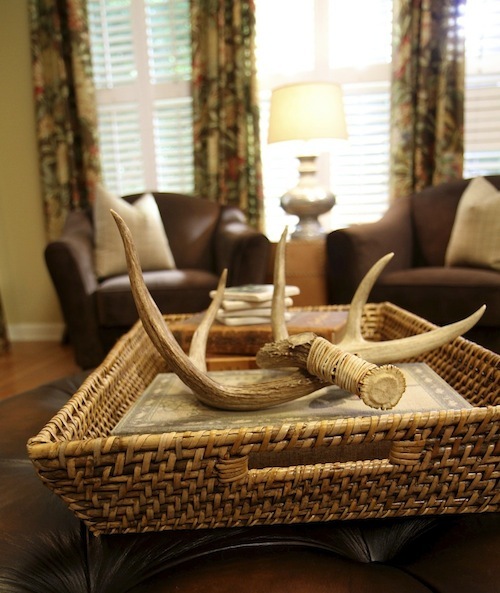 I took some of the family’s antique books and antlers and used them for accents around the room. Here’s a look at the other side of the space. The dad and son in the family collect Civil War memorabilia and I used many of these pieces on the gallery wall. 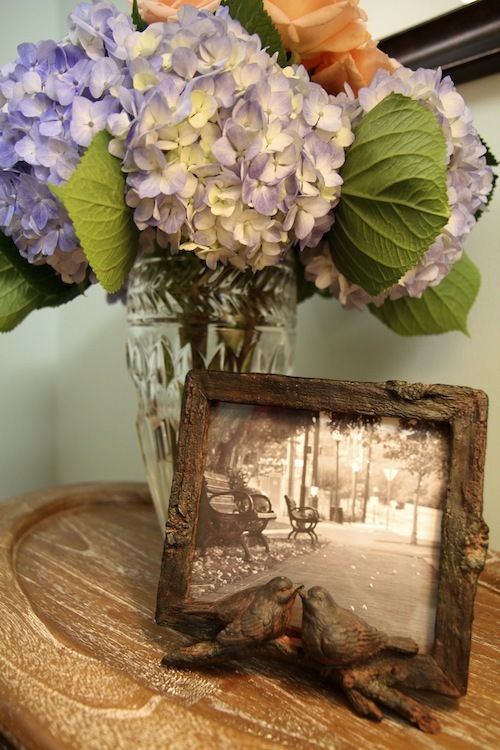 New and old photos of the family were used to add even more personalization to the space. More Civil War memorabilia. 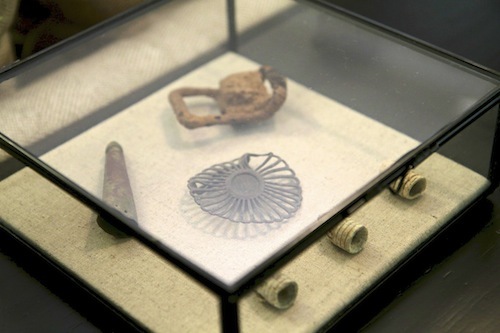 Quick tip, take small collectibles and place them in a glass display box to make them feel special. Here’s another look at the finished space. I love how it turned out. Join me back here on Wednesday for the 3rd and final behind the scenes post. I’ll show you what the other side of this room looked like with all of the crew, cameras, lights and supplies. It was definitely what I would call organized chaos! Today, I thought I’d share with you some of the behind the scenes pictures and details from my episode of Design Wars. If you didn’t see the episode on Friday, I’m working to get it downloaded to my website. Here’s the rundown of how it worked. 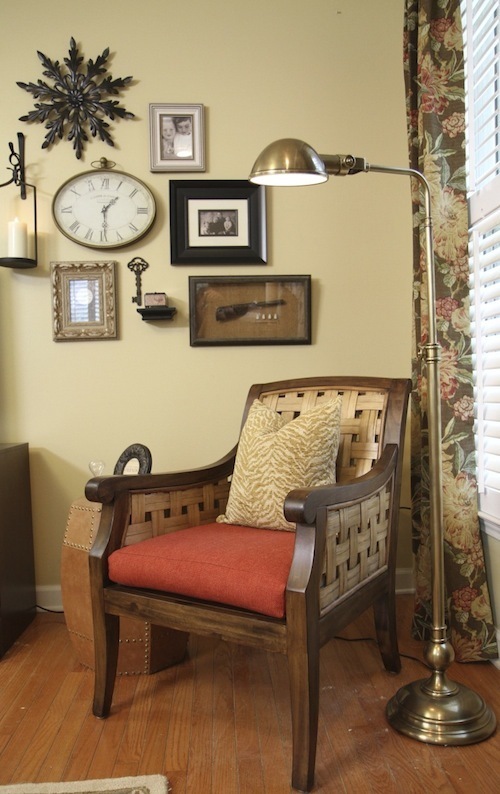 I competed against two other Atlanta designers to win the opportunity to design the homeowner’s family room. 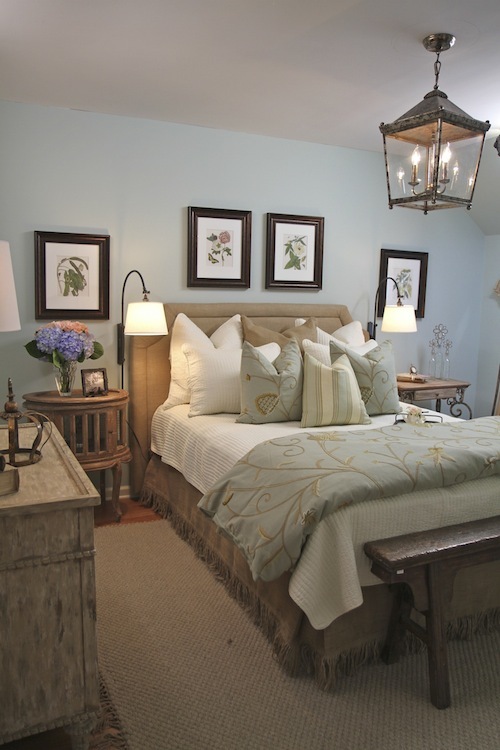 We designed 3 different rooms in their home and then the homeowner chose their favorite designer. They only showed 2 rooms on the show, the kitchen dining area and the guest room. After seeing all the spaces, the homeowners chose me to makeover their family room. It felt fabulous to win after all the hard work that went into the preparation and filming. 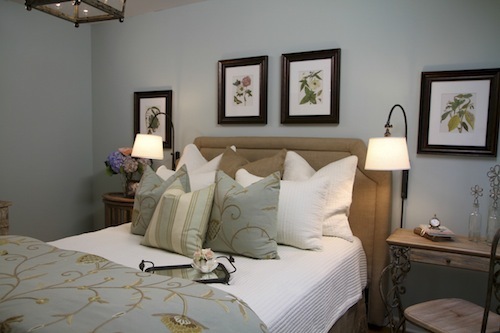 Here are few pictures from the guest room that I designed. We had approximately 3 hours and $2500 to decorate this space. The dollar amount was not actually given to me. It was just a guideline given to us by HGTV. I had to go to my resources and borrow, rent or buy and return the items I needed. From the beginning, my focus was on my local resources. 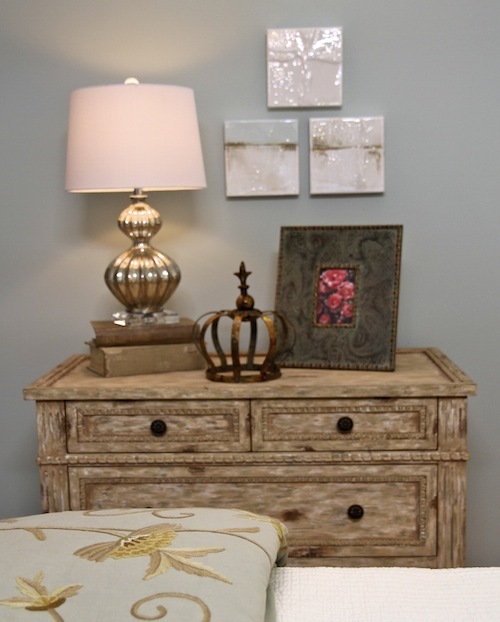 The items in this space were provided to me by the White Rabbit Cottage, Ballard Designs, Woodstock Furniture and Nadeau. A big thanks to all of them! And a huge thanks to my wonderful friend, Heidi, she gave up the majority of her summer (We filmed the show last July.) to help me put this whole thing together. If you wonder how all that furniture got moved, window treatments hung, pillows fluffed, Heidi and I did it all. There was a crew to help us out with some of the heavy lifting and painting, but the majority of the work was done each day by Heidi and myself! More on that Monday when I show you the family room reveal. The artwork in this photo was provided by dk Gallery. Bonnie Fuchs is the fabulous artist. My husband took this photo in my mom’s garden a few years ago. I had to be very creative with artwork. HGTV requires artist permission for each piece used, so I couldn’t just go out and buy just anything. I had to be able to contact and get written consent from the artist. Each of my spaces contain original artwork and photos taken by Eric. Such a blessing to have a talented photographer husband! This side of the guest room was my favorite. 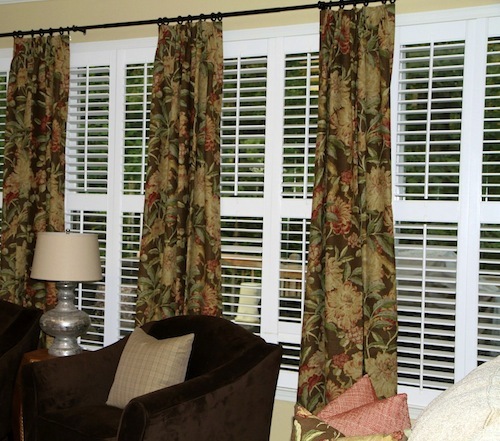 I have a wonderful fabricator who made the window treatment, cushion and pillows. Thanks Kathy! 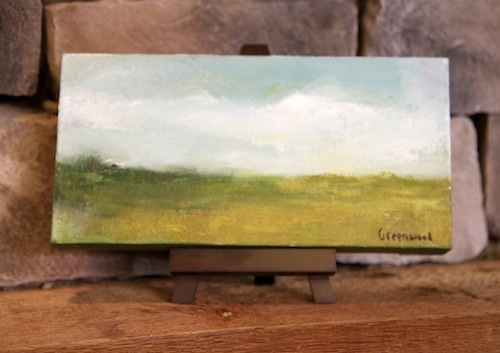 The beautiful abstract art is an encaustic piece by Jenny King another local artist. Here’s a shot from the other side of the room. Holly had asked if the homeowners kept everything. They actually only got to keep the things in their family room. (I’ll show you that space on Monday.) It had to be so hard for them to see their plain jane guest room transformed 3 different times and not be able to keep it, but that’s how it worked. Many of you have asked what I won. 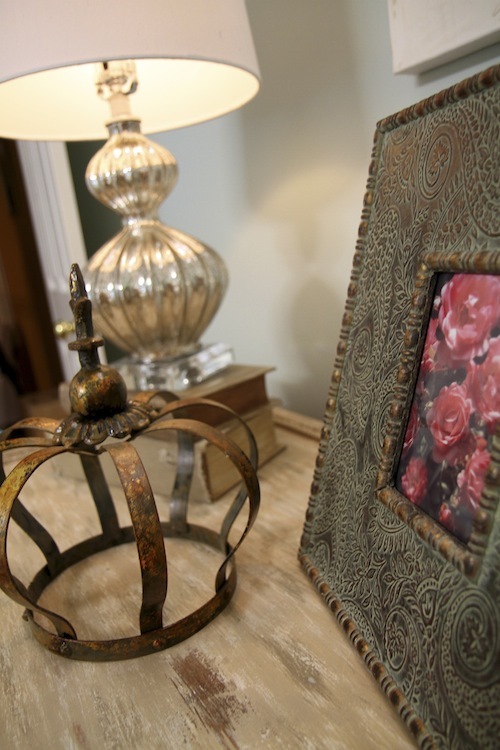 HGTV has put several images from my portfolio on their website. Check out the Designer’s Portfolio here! I hope you’ve enjoyed part 1 of my behind the scenes. 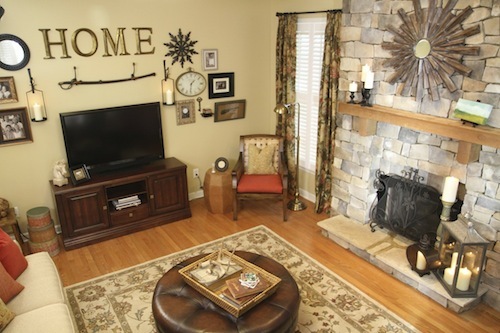 Stay tuned for the family room reveal on Monday!